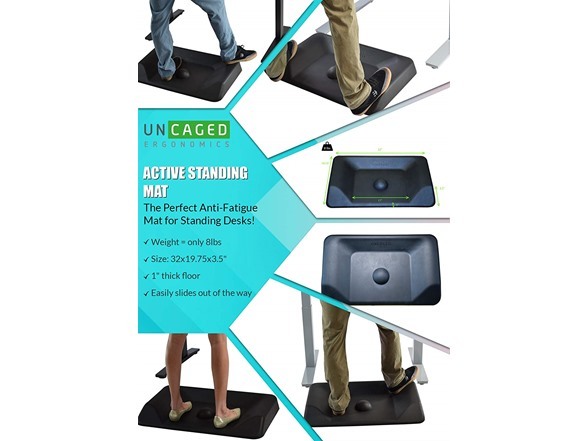 The patent-pending Active Standing Mat has a contoured surface that’s specifically engineered to encourage movement while standing. 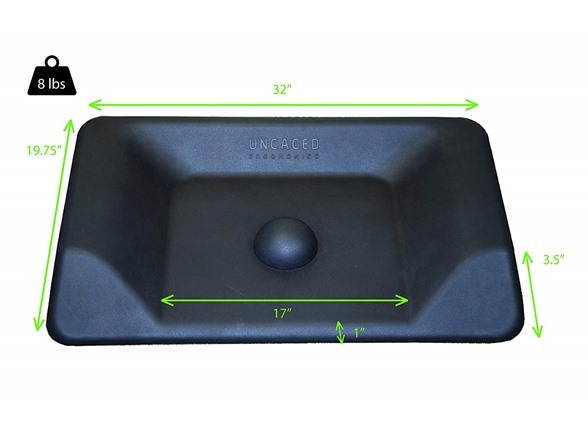 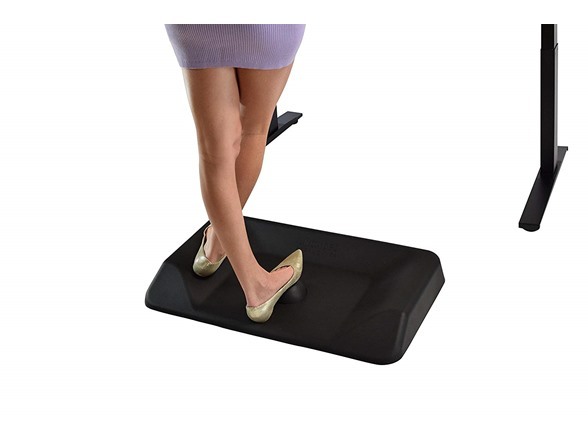 With space for static standing, the 1” thick floor, which is much thicker than most “cheap” mats, provides excellent cushioning comfort that you can feel. 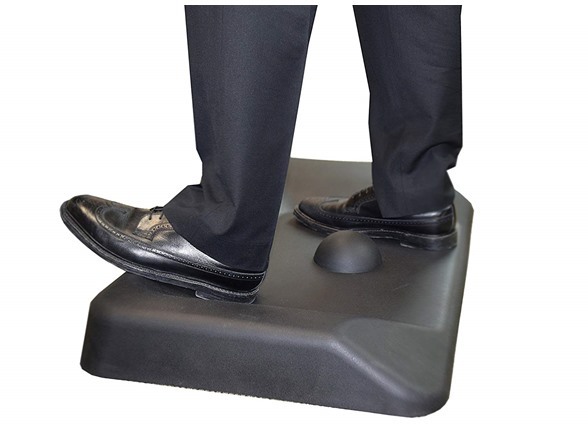 Sloped sidewalls allow you to elevate one or both feet, stretch your calves and stand comfortably with a wider stance. 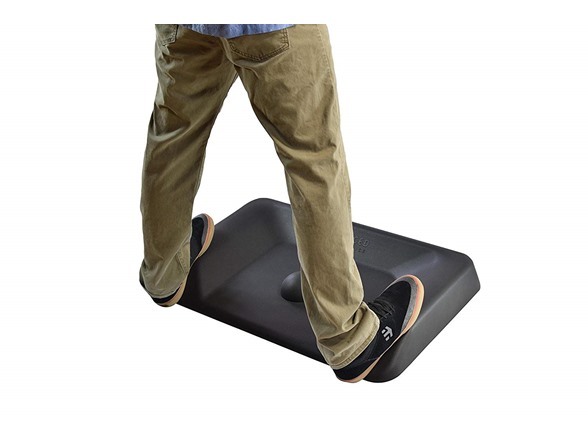 The center massage ball massages and stretches your feet and makes it easy to slide the Active Standing Mat out of the way when you don’t need it. 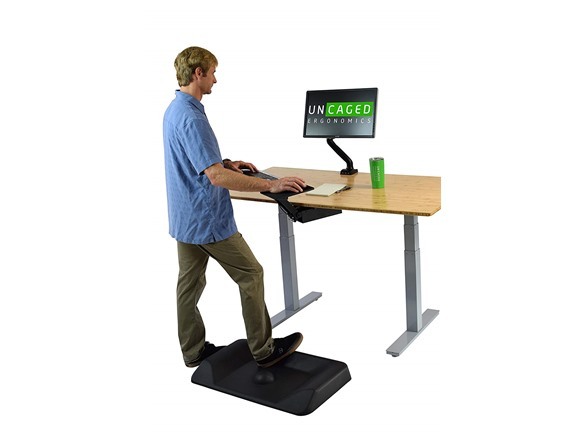 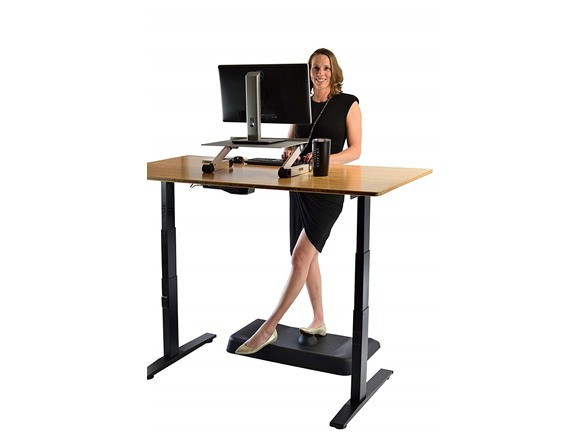 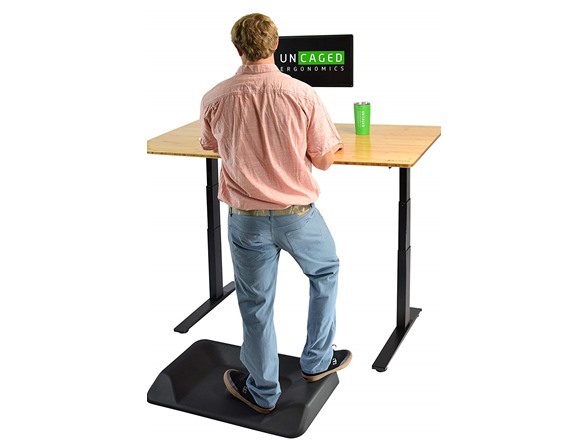 The Active Standing mat fits perfectly in most cubes and offices and it’s the ultimate compliment to any Standing Desk!